On 29 May 2018, two legal actions of the I.P.R. F.T.T. – International Provisional Representative of the Free Territory of Trieste (LINK) stopped the operations of a transversal group of local Italian politicians and real estate speculators who, since years, are trying to illegally subtract to the international Free Port of Trieste a 60 hectares area of port facilities (buildings, roads, railways) to sell them on the real estate market. The real estate value of the area amounts to EUR 3 to 5 billion (between USD 3.4 and 5.8 billion). However, its functional economic value is enormously higher, because the permanent regime of the international Free Port of Trieste, the only one in the world, allows to use it for the trades, storage, and manufacturing of freight from all States without taxes, limitations, or discriminations. 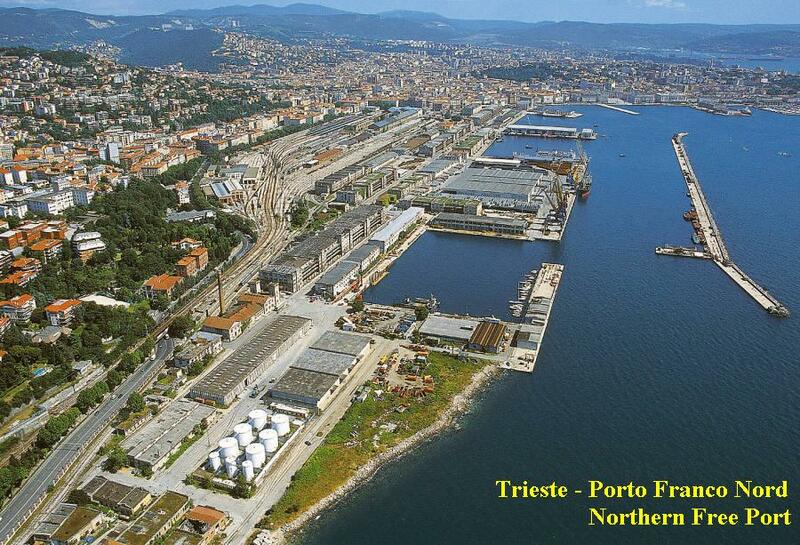 The subtraction of those 60 hectares, which constitute 88% of the functional surface of the Northern Free Port, would also reduce the overall surface of port and railway facilities of the international Free Port of Trieste, resulting in incalculable damages to its whole logistic and strategic management. For these reasons, the fact that a group of local Italian politicians and of real estate speculators attempts to subtract to the International Free Port of the Free Territory of Trieste an area of 60 hectares to sell it on the real estate market is not just a massive fraud, unprecedented in Europe and in the Mediterranean. It is also a huge, outrageous, and unacceptable economic damage for Trieste and for the whole International Community. The attempted fraud has been arranged making it appear that the area had become functionally unusable for port activities (an “old port”). However, to sell the area on the real estate market, it would be necessary registering its assets on the Land Registry Book, and this procedure would have revealed that, since 15 September 1947, those assets are unavailable assets of the international Free Port as a State corporation of the Free Territory of Trieste. Nevertheless, with a complex series of deceits, the group local politicians and of real estate speculators obtained that those public assets of the international Free Port of Trieste be registered within the Land Registry Book since 31 December 2016, yet, as properties of the Municipality of Trieste. The politicians in charge of the municipal administration of Trieste did later simulate to have obtain legitimate and unconditioned ownership of that area, starting their own operations to use or to sell those assets, with the involvement of an increasing number of public and private subjects, but did not warn them about the consequent risks. This situation puts at risk of serious, unfair, and now imminent damages the International Free Port of Trieste and all private, public, and international subjects entitled with rights and legitimate interests over it, but also third parties in good faith that the Municipality involves in its illicit real estate operations on the same port assets. The I.P.R. F.T.T. has therefore stopped the illegal real estate operations of the Municipality questioning its right to own those assets with two related legal actions: one is registered within the public Land Registry Book (LINK, document in Italian) under a Decree of the Land Registry Judge (LINK), the other was notified, together with the first one, to all competent administrative and judicial authorities (LINK). The nature and the publicity of both legal actions does now cause the nullity and voidness of any Municipal contract for public works, rents, concessions, or sale involving assets from that area, and it does also give raise to the criminal, civil, and administrative liabilities of both public administrators and officers involved, as well as of any other eventual public or private contractor. It is yet to explain how could a group of local Italian politicians and of real estate speculators plan, for years and undisturbed, such a huge fraud at the expenses not only of the International Free Port of the Free Territory of Trieste, but also of the rights of all States. Such anomaly happened because, so far, the Italian Government allowed that kind of local politicians and of real estate speculators to exercise, unpunished, serious illegal interferences on bodies in charge of public administration, justice and information in Trieste. But the Italian Government is administering the present-day Free Territory of Trieste and its International Free Port under a special trusteeship mandate that is sub-entrusted to it by the Governments of the United States of America and of the United Kingdom of Great Britain and Northern Ireland, in their role of primary administering Governments on behalf of the United Nations Security Council. 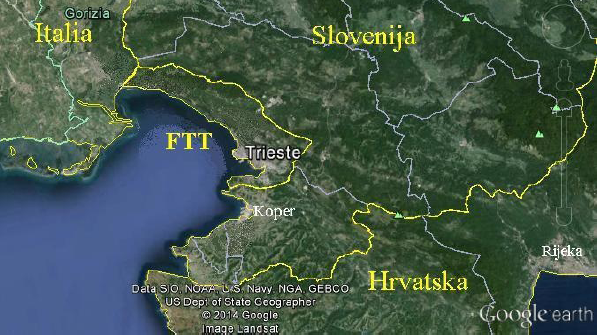 Also, the interest of all States to the maximum use of the international Free Port of the present-day Free Territory of Trieste is quickly increasing, after being suffocated for decades by the strategic problems of the Cold War and then of the Yugoslav crisis, which did lead to the international recognition of the independent Republics of Slovenia and of Croatia (LINK). This means there should be no reason to remind the sub-administering Italian Government that its duties under that special trusteeship mandate do also include the eradication, once and for all, of the local parasitic camorras of politicians and of real estate speculators that, after impoverishing the Free Territory of Trieste for decades, are now going as far as trying to illegally sell away half of its International Free Port.